Check back regularly for the latest updates and special announcements! See award recipients, general sessions, fun moments, and special events. Check it out now! Get this incredible offer for the price of $469 including shipping and handling. The companion audio set is also available on flash drive. Email afox@autotraining.net to initiate your purchase. *Video and audio of Saturday morning's opening speaker is not included in this set due to the speaker's contract restrictions. Important Notice Regarding Round Table Audio Files: For the first time in SuperConference history, all attendees will have limited-time access to the audio recordings of the SC19 Round Tables. After SuperConference, the recordings will be posted online for playback only and will be available for a very limited time. These files will be protected from download. Only attendees who purchase the DVD/CD set will receive permanent copies of Round Table audio files along with General Session and Awards video. If you didn't see your photo posted last week, look now -- we just added 80 photos! Download a snapshot of your time at SuperConference 2019 and have a forever memory! Photos you download are ready to print at your favorite vendor. The final speaker lineup from the whole conference is now available. Read more about all the amazing general session speakers and topics covered during the event. Download a snapshot of your time at SuperConference 2019 and have a forever memory! Photos you download are ready to print at your favorite vendor. Check out today's lineup of great speakers and don't forget to tune into SCTV for today's live broadcast! Check in every morning to see the day's lineup of speakers! Tune in to each day's broadcast to discover the mystery speaker and experience SuperConference 2019 live from your own shop. The official SuperConference 2019 Smart Phone App for Apple and Android is available for download. 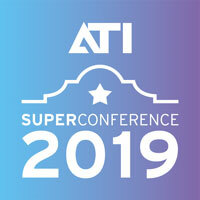 Search for ATI SuperConference or use the store links below. Note: It is NOT the SuperConference Scanner App. The app will become your SuperConference best friend. Read the Quick Start Guide to familiarize yourself with all the exciting features. See how you can preview, email, and even print all the Round Table Presentations. That should help confirm what sessions are best for you. Beginning Monday, March 18, at 5:00 PM, you will no longer be able to register for your Round Table session on the registration site. From then on, you will register or change Round Tables directly in the app. After you install the app go to Take a Poll. Your first Gamification question awaits. SuperConference is a short week away. Take a look at our annual Shipment video -- this year it was five pallets. WOW, that's a lot of SuperConference stuff! Your SuperConference team can't wait to see you in San Antonio! It's official – Friday is Vendor Day at SuperConference 2019. Meet and greet with vendors and sponsors in all Friday morning General Session breaks. Decide who you want to seek out and focus on at the Super Spectacular Trade Show Friday evening. Spend Friday afternoon learning what's hot and relevant from the best vendors in the business at the very popular Friday afternoon Bonus Breakouts. Bonus Breakout sessions are repeated two times and are on a first availability basis. Check out the great topics here. You do not register for Bonus Breakouts in advance. View the complete agenda, with a timetable of events. One of the most popular portions of SuperConference are the Round Table breakouts. Ten topics presented by ATI coaches repeated four times over two days. That's been the format for years. Well, get ready for Round Tables 2.0. In addition to our select coach presentations, we have added eleven of our members to the lineup (eight doing their own breakouts and three in a coach/member panel). Each will deliver their sessions twice instead of four times. Seventeen topics in all. These members have graciously given up their personal SuperConference time to share compelling topics straight from their real-life experiences. For your convenience, you may view or download the Round Table Signup Sheets. Both Thursday and Friday are in the file; see all pages for all 17 topics. The forms will allow for easy review of the titles and description as well as the presenters. Use them to help you select the ones you want to attend. Each attendee must sign up for their own Round Tables. Please note that all have limited availability. Many will "sell out" fast. You may register for your Round Tables online until March 18th. After that, you MUST register on the official SuperConference App (available soon). If you wait until you get to SuperConference, many of the more popular topics will be full with registration already closed. For the first time in SuperConference history, all attendees will have limited-time access to the audio recordings of the SC19 Round Tables. After SuperConference, the recordings will be posted online for playback only and will be available for a very limited time. These files will be protected from download. Only attendees who purchase the DVD/CD set will receive permanent copies of Round Table audio files along with General Session and Awards video. You may pre-order the DVD/CD set through online registration (use the registration button above) or order onsite at SuperConference. 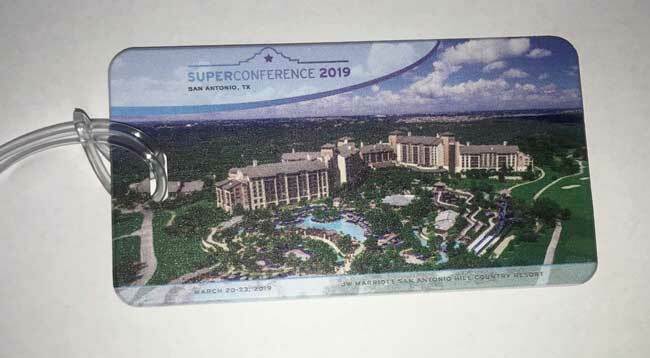 SuperConference 2019 Welcome Letters and official luggage tags have shipped! Be on the lookout for their arrival any day — they were shipped by USPO Friday 2/15. 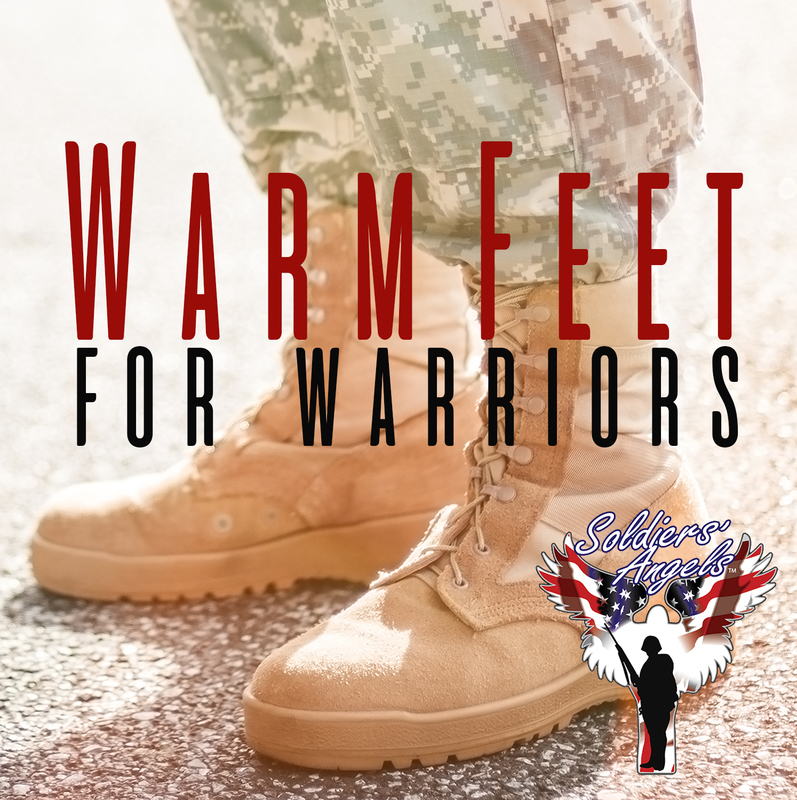 Soldiers' Angels wants to help keep our troops and veterans toes feeling toasty, and you can help! Start a sock collection drive & send us new socks in all colors and sizes in their original packaging. We will distribute the socks to veterans in VA Hospitals and include in our care packages to deployed. Don't worry, we know there are regulations for the type of socks our troops wear when in uniform, but they request socks to wear when out of uniform — so really, any kind of sock will do! Visit Soldiers' Angels for more details. Bring your sock donations to San Antonio for SuperConference 2019. If you are attending an ATI class between February and May 2019, bring your sock donations to ATI Headquarters. Note: The Warm Feet for Warriors Sock Drive is in addition to our SuperConference 2019 Charity Fun Run. For more details on the Charity Fun Run, see the Soldiers' Angels news item on this page and update your SuperConference registration to participate. Still need to make your travel reservations for SuperConference 2019? See the Travel page for details and ATI discount codes you can use booking with SWABIZ, Avis, SuperShuttle and Execucar. 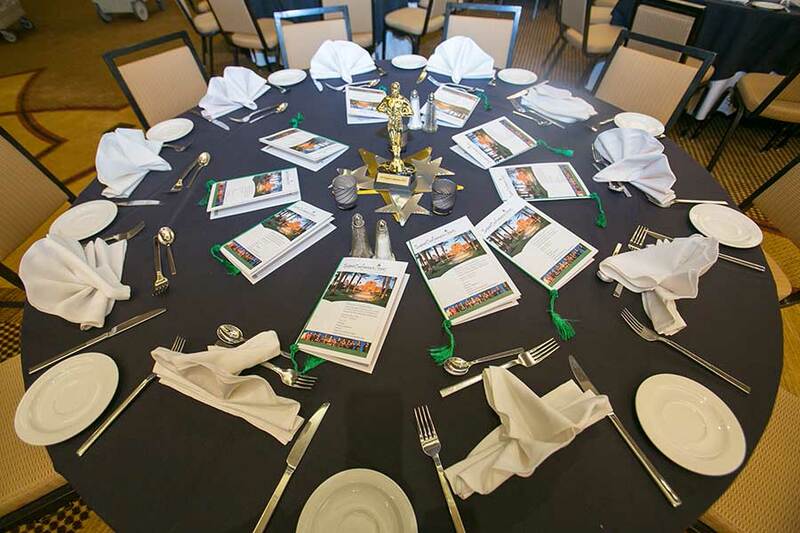 Saturday Night Awards Banquet – Your Reserved 20 Group Table Awaits! 100% of Your Table Contribution Goes to the SC19 Charity! Everything about SuperConference is truly amazing! 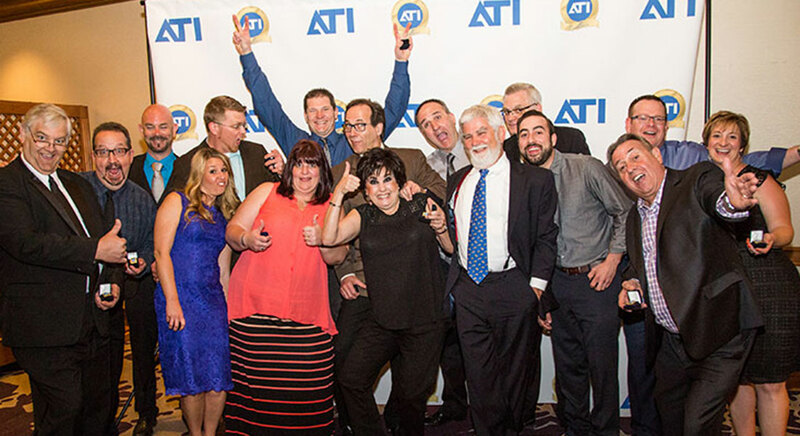 Especially the Awards Banquet Saturday night where we celebrate ATI's best of the best. Many 20 Groups want to sit together for this special evening. So back by popular demand, your 20 Group can reserve a table(s). $500 per table of 10 seats ($50 per seat) – Perfect for those who want to be sure they can sit together for this special evening. On Saturday evening just place your reserved seating name tent at your 20 Group reserved table. It's that simple. Tables are for ten and cannot be partial - $500 per table. NOTE: You can only reserve FULL tables with ten names. Generally, all seats in the ballroom will need to be filled based on ballroom size, number of available tables and attendance. If a 20 Group only had 8 for example, they might consider asking for the names of two first time attendees to join their table. 20 Groups must pick a Table Leader. The Table Leader submits a reserved table request to ATI. Send table requests to: Ashley Poligardo apoligardo@autotraining.net. On March 1st, 2019, ATI will send the designated Table Leader an invoice for the reserved table amount due. You are also welcome to pay in advance of the 3/1 date. Once paid in full the table is officially reserved. Based on first come first choice (the order in which we received the original table reservation), Table Leaders will be called by March 8th to pick their table based on the current seating chart. At awards night, each reserved table will have your "reserved" 20 Group name on the table. Sorry, 20 Group table reservations are not eligible for the SC19 payment plan. Each year at SuperConference we select a charity local to the community we visit and raise awareness and money for their organization. If you've already attended a SuperConference, you've seen first-hand the incredible impact we have made. We're excited to introduce you to our SuperConference 2019 Charity: Soldiers' Angels. Soldiers' Angels provides aid and comfort to the men and women of the United States Army, Marines, Navy, Air Force, Coast Guard and their families, and a growing veteran population. Started in 2003 after the tragic events of 9/11, Soldiers' Angels has grown to not only supporting deployed personnel, but also their families and veterans of all eras receiving services at VA Hospitals across the country. Through the four program areas of Deployed Support, Family Support, Wounded Support and Veteran Support, Soldiers' Angels has provided over $17 million in aid to over 360,000 service members, veterans, wounded heroes, and military families in 2017 alone. Thousands of Soldiers' Angels "Angel" volunteers support our brave men and women in uniform who are fighting for freedom in a variety of unique and effective ways. If you are arriving early, please sign up for our Charity Fun Run to benefit Soldiers' Angels. The run will take place on Wednesday morning at 7:15 am and you will receive a commemorative t-shirt. The fee is $30 per person and net proceeds will go to Soldiers' Angels. Copyright © Automotive Training Institute. All rights reserved.